Liverpool beat their Premier League rivals 3-0 in the first leg of their Champions League quarter-final clash. Mohamed Salah, Oxlade-Chamberlain and Sadio Mane all scored inside half an hour as the Reds raced into a shock lead. 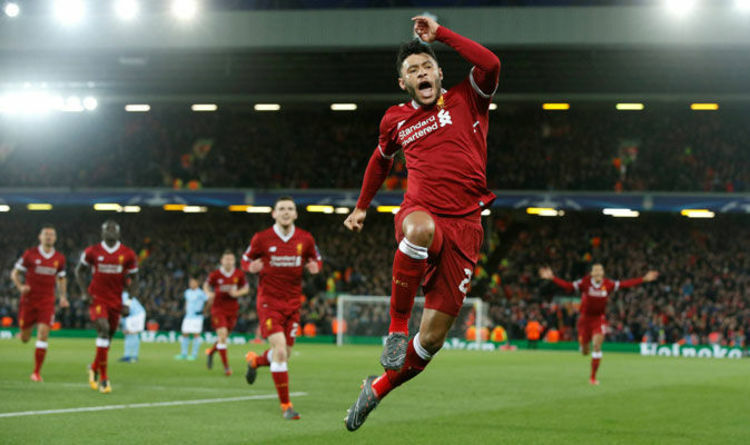 The pick of the goals belonged to Oxlade-Chamberlain as he drilled the ball into the back of the net from 25-yards out. And the England international claims that his side were able to shoot out of the blocks because of the atmosphere created by a sold-out Anfield crowd. “It was a great start for us to go three up before half-time, it set us up perfectly,” he said. “The crowd, the atmosphere was unbelievable and that’s why we started like we did. “It was a good strike, it opened up for me. The Liverpool fans were in top voice all game but there was an incident before kick-off which casts a shadow on their support. City’s team coach had objects thrown at it upon entrance to the ground and the bus suffered a smashed a window and damaged exterior. The Reds have since released a statement apologising for the incident but there is bound to be a full investigation to find the perpetrators.